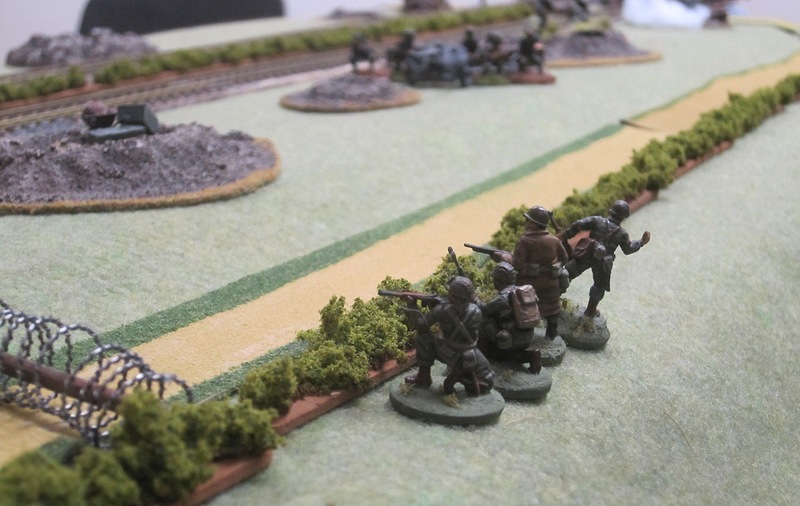 The weakened paratroopers advanced swiftly towards the Northern side of the rail bridge. 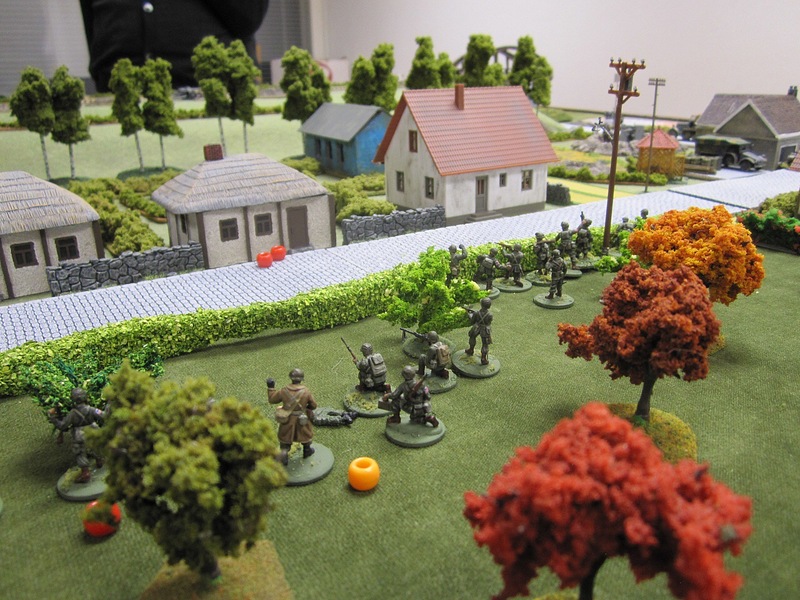 Aksu advanced along the rail line in a small wooded area. 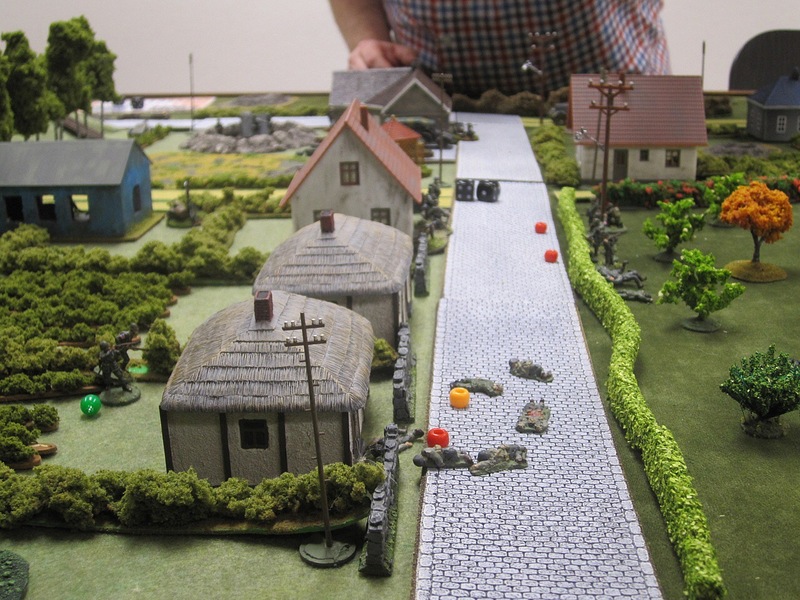 Eero’s line of advance was more open and led him into a suburb. 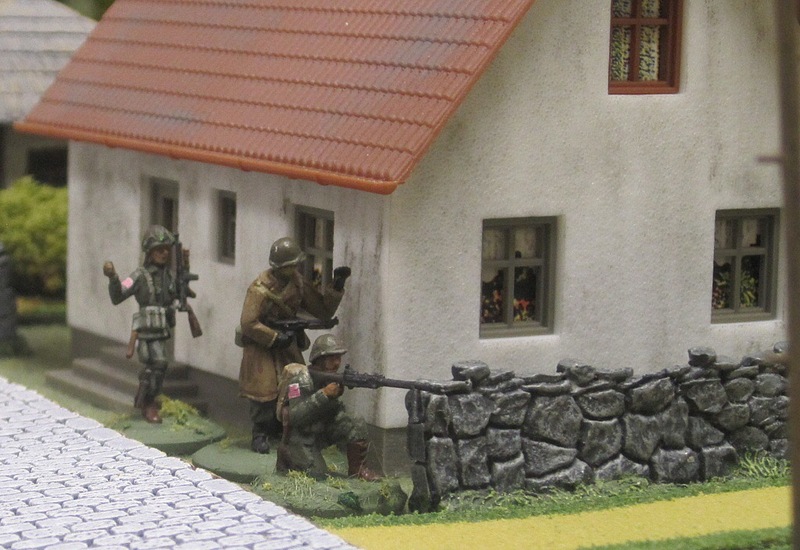 True to form Aksu advanced cautiously, using his scouts to flush out the jerries. 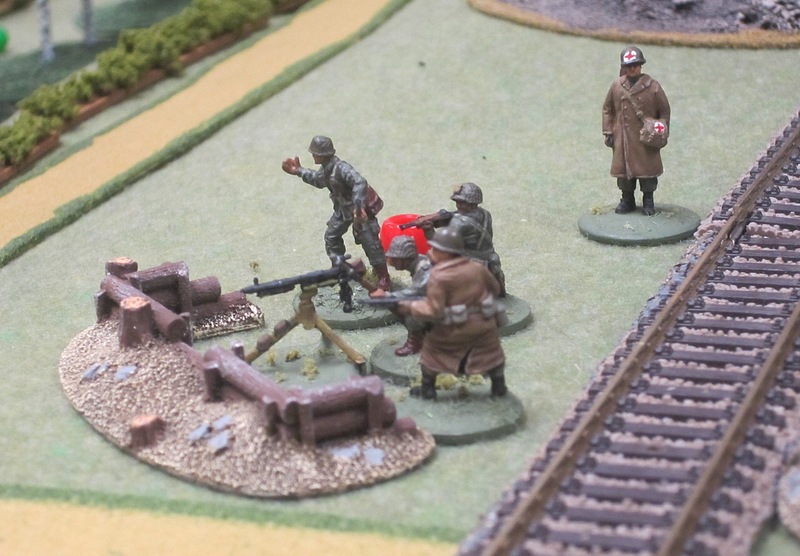 Eero was more aggressive, charging the Germans in some bungalows through a hail of fire from a quad 20 mm flak vehicle. 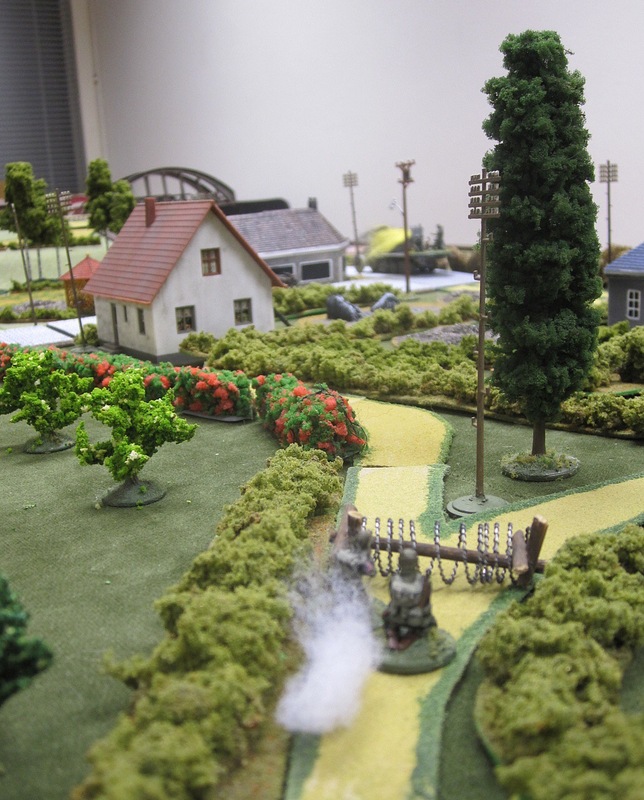 While this carnage was going on Aksu managed to advance onto the rail track and take the bridge. 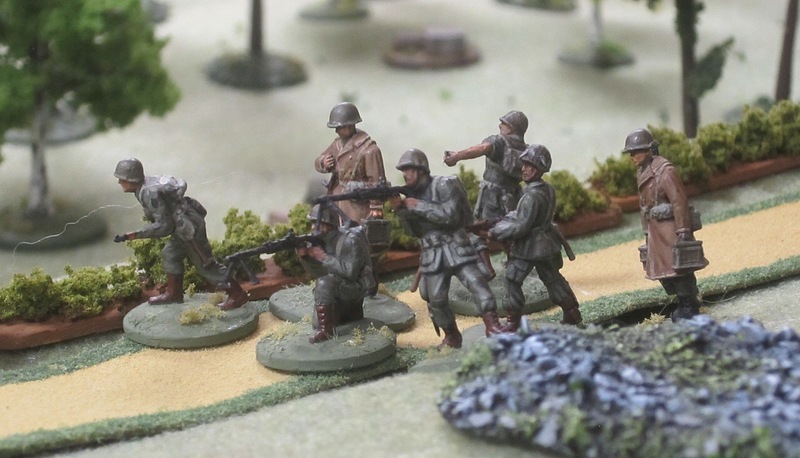 Eero reveived some last ditch reserves from company HQ and was able to push forward as well. 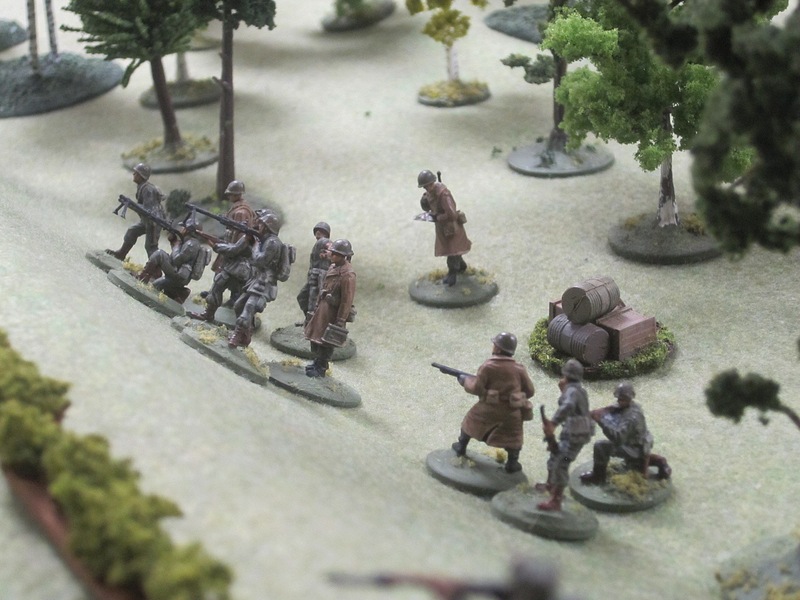 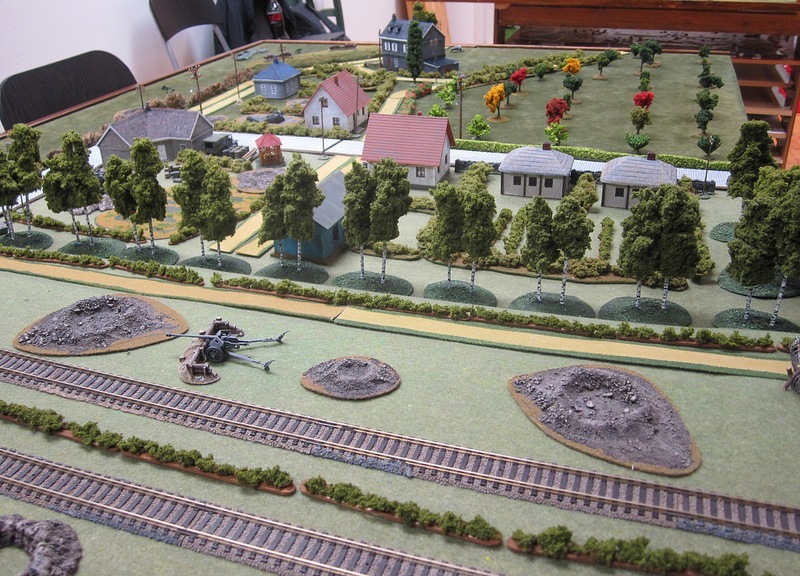 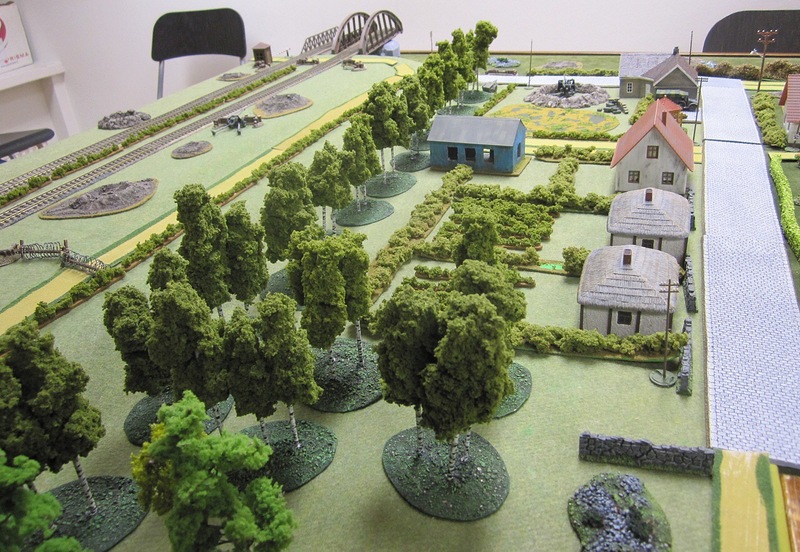 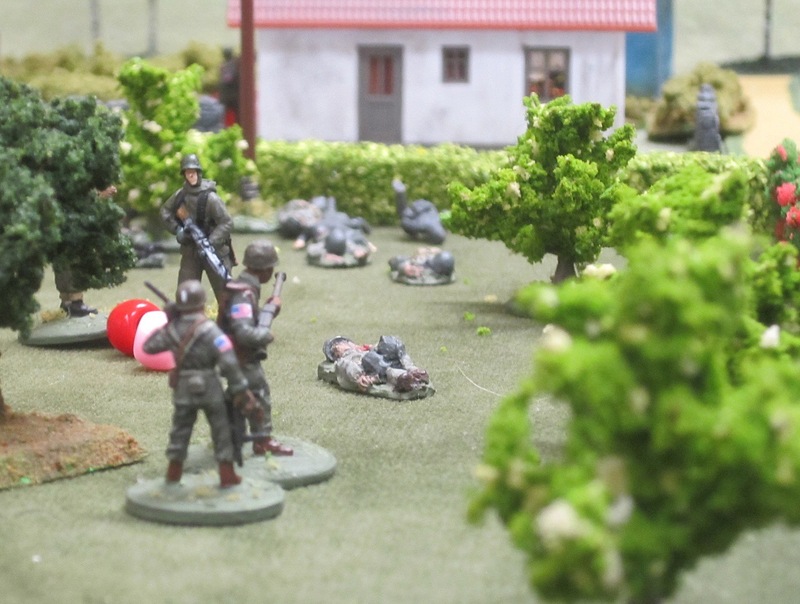 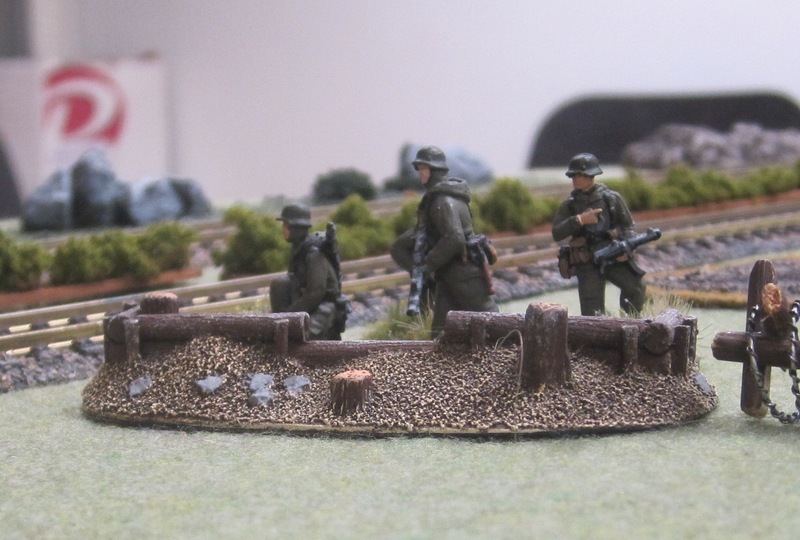 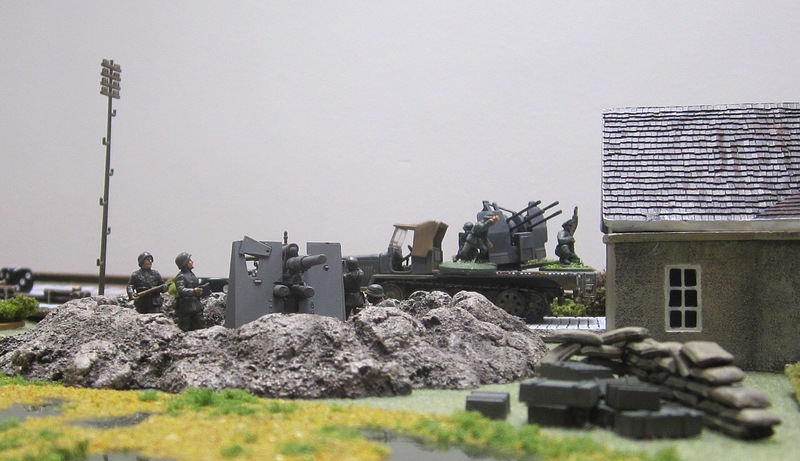 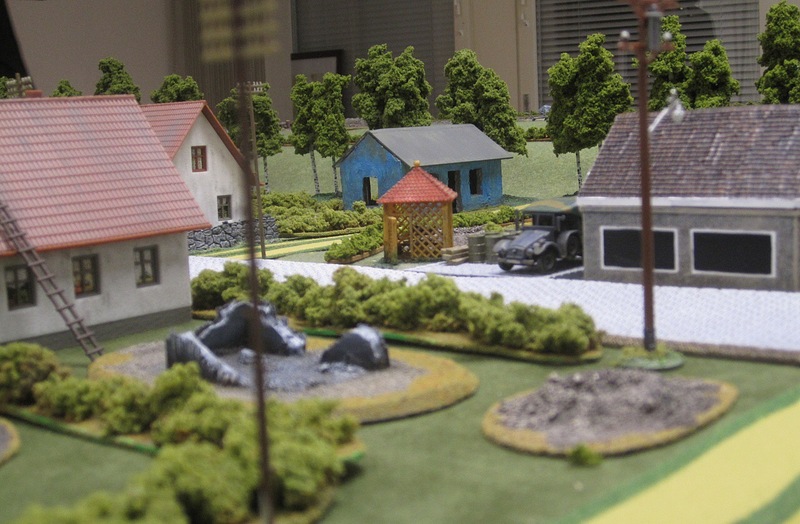 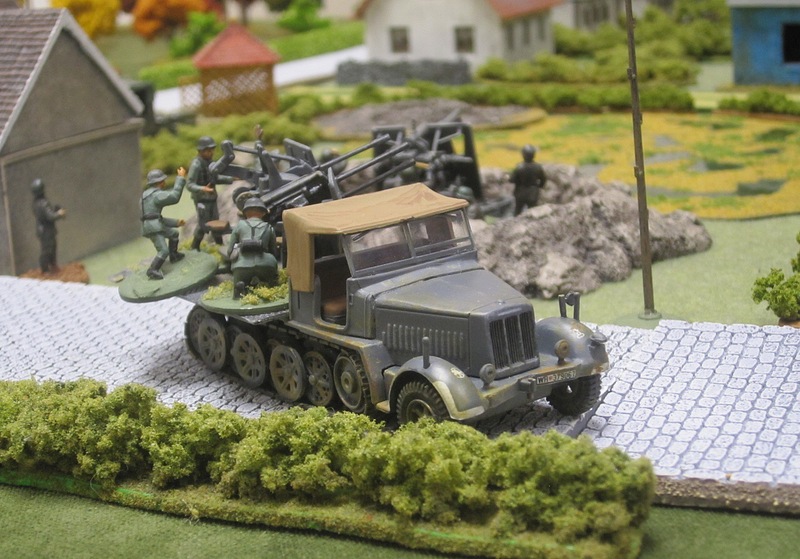 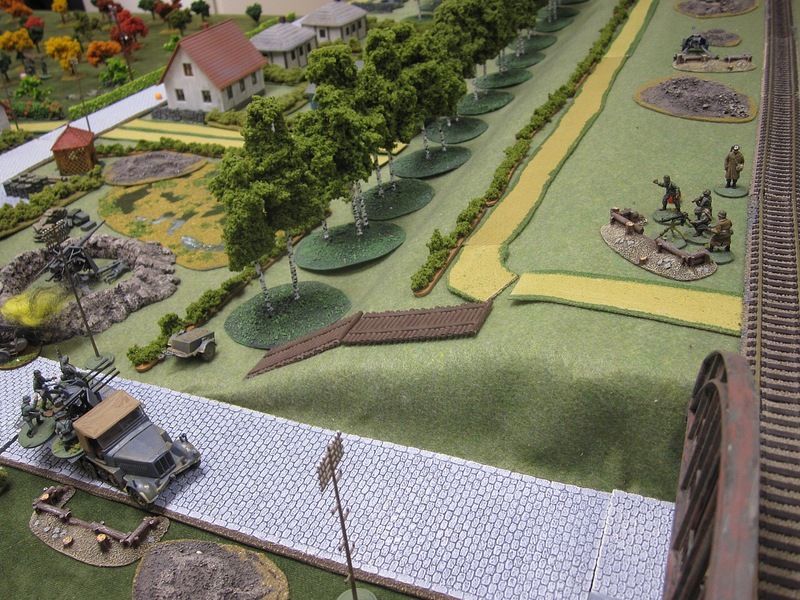 The Germans retreated towards the road bridge. 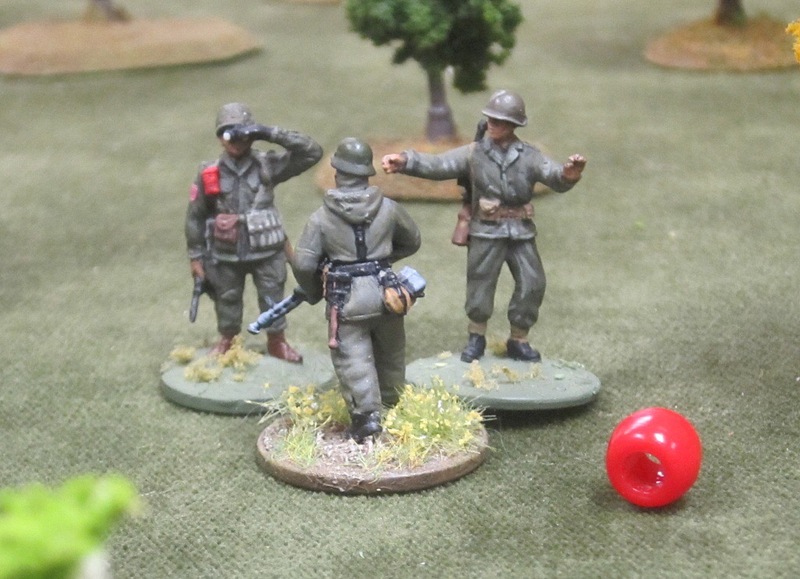 Another costly American victory.